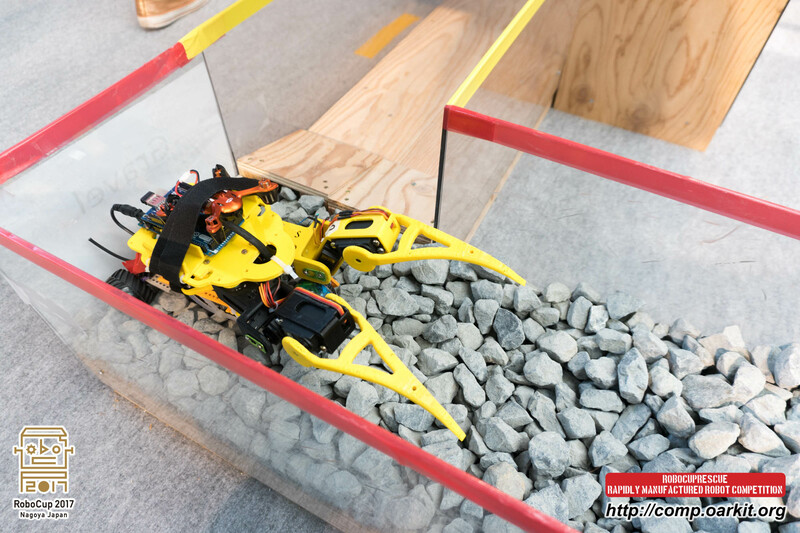 2017 marks the first time that the RoboCupRescue Rapidly Manufactured Robot Competition has been held as an open competition. From the 27th to the 30th of July 2017, 10 high school teams from around the world came to Nagoya, Japan, to compete in the latest iteration of this research competition. 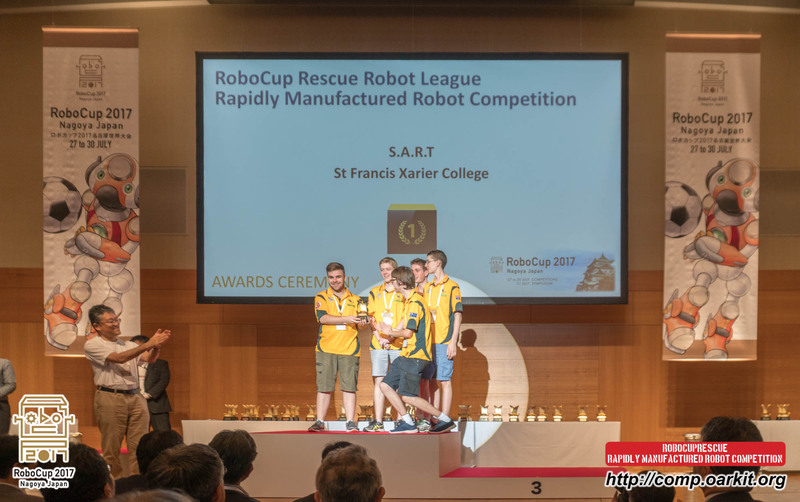 We would like to congratulate the award winners for 2017! 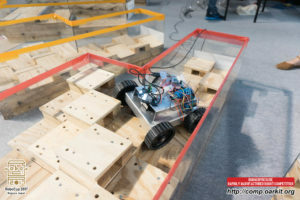 In particular, please check out S.A.R.T.’s comprehensive documentation of the development of their system here! 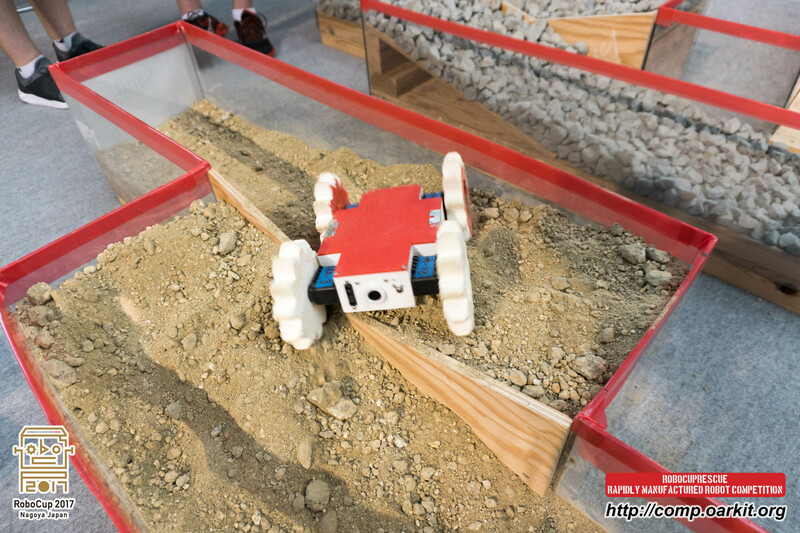 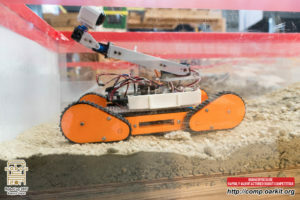 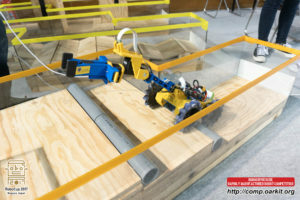 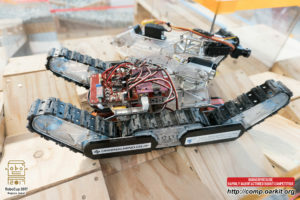 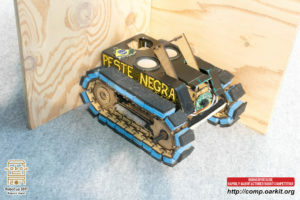 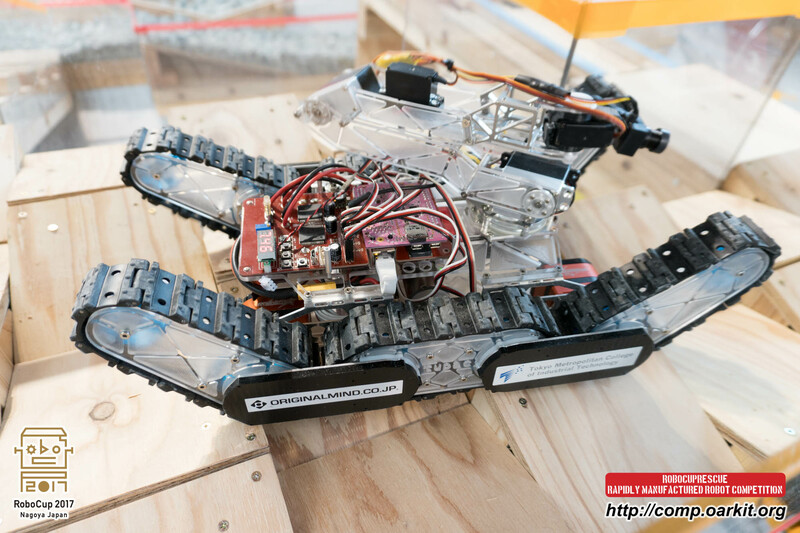 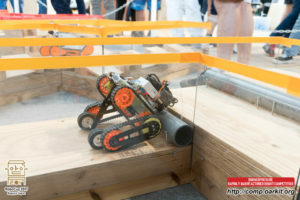 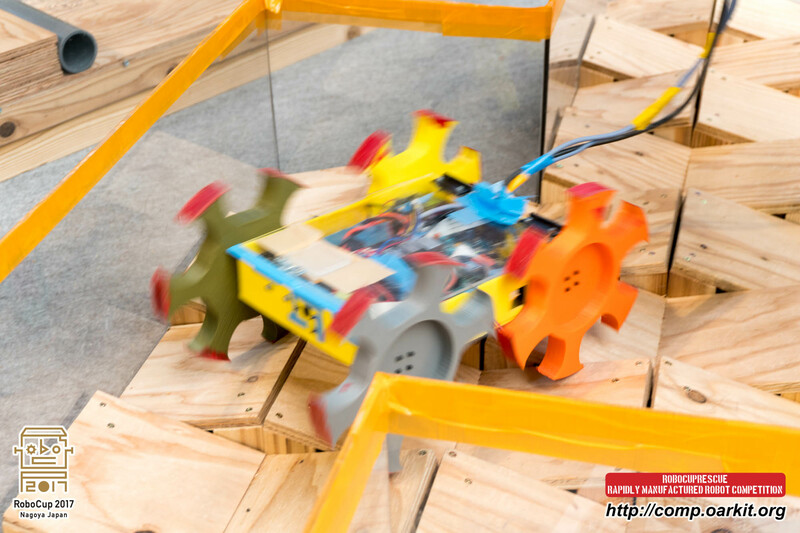 As per last year, the competition was run according to the rules of the RoboCupRescue (Major) competition, with minimal changes as necessary to accommodate the smaller arena and to make the competition practical for high school students. 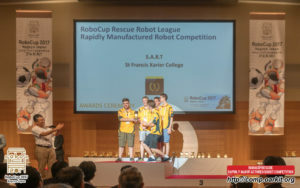 The final scores, as displayed and ratified at the final Team Leader Meeting, are available here! 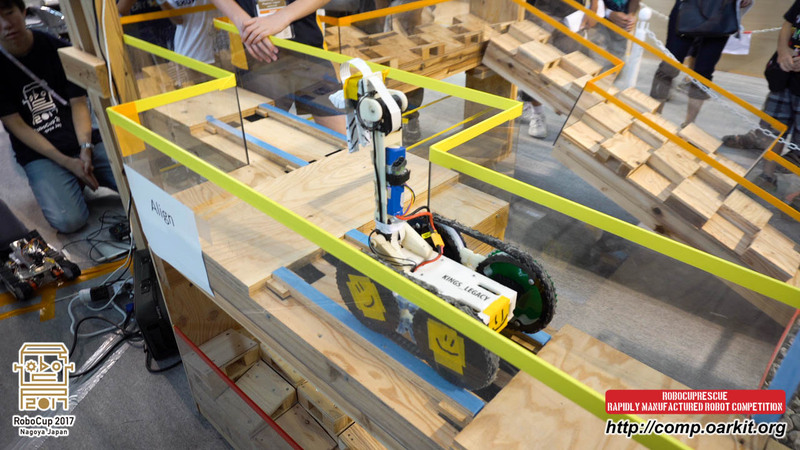 If your team is here and you want a link added to your materials, please let us know by sending email to info@oarkit.org from your team’s contact email address.